This Brother LC3217C Cyan ink cartridge offers an estimated 550 pages per cartridge at a great price. 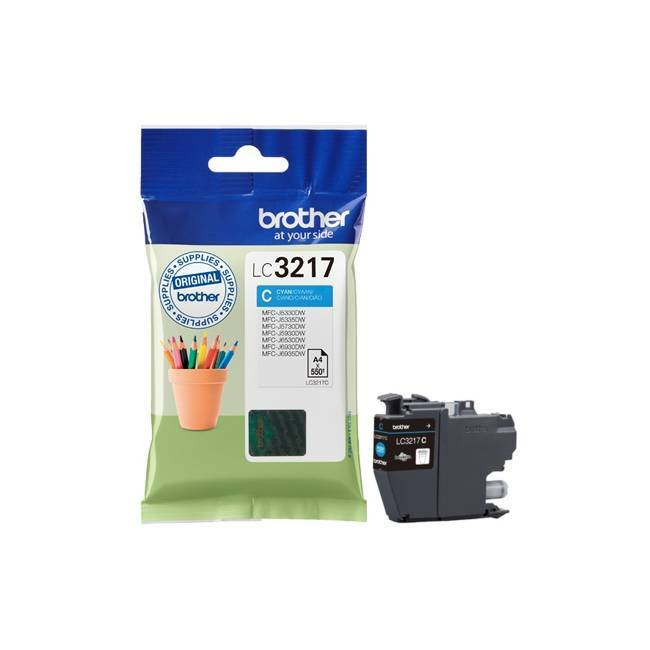 The Brother LC-3217C is a standard capacity ink cartridge meaning you get a bit less in terms of ink, but you don't have quite the outlay of an XL cartridge, making the Brother LC3217 cartridges ideal for occasional use. As an original Brother ink you can expect the very best print quality from the LC-3217C and a guarantee of seamless compatibility with your printer.